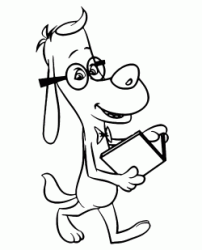 Mr Peabody is a beagle dog with exceptional intelligence. In his life he has accomplished many things and has conquered all that a scientist can aspire to, including the Nobel Prize. 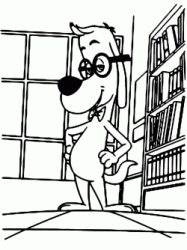 In addition to the sciences Mr. Peabody has also distinguished himself in sport, winning twice the Olympic medal. 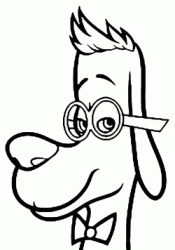 Realized in his career, however, Mr. Peabody begins to feel sad and lonely, so decides to adopt a child. 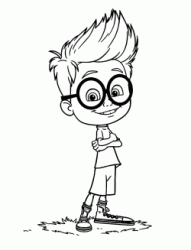 In an alley Mr. Peabody meets Sherman, an orphaned baby with red hair, in trouble because he is targeted by two bullies. 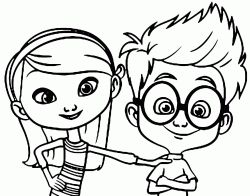 Mr. Peabody helps him and decides to adopt him. 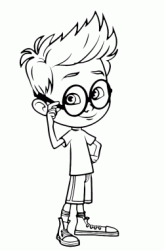 To educate him, Mr. Peabody realizes a time machine that allows him to show the story to the child of epoch in epoch, so that he learns things directly with his own eyes. 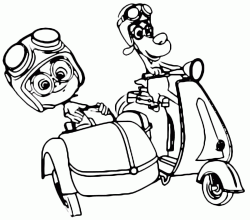 But when they realize that they can not interact with the characters encountered during their journey, Mr. Peabody decides to make a change to the time machine, however, altering the reality and making the past a bit bizarre. Despite the fantastic life, Sherman has to deal with the wickedness that characterizes people. Taken around by children to have as a father a dog ends up responding to violence with violence attracting the interest of social services that try to separate him from the animal father. 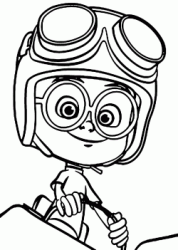 Mr. Peabody & Sherman coloring pages. 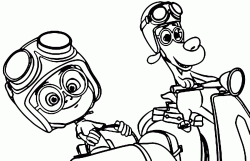 Have fun printing and coloring the drawings of the smartest dog in the world. 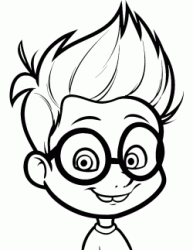 Mr. Peabody and his son, the little Sherman, are waiting for you to live together a wonderful adventure.